Just add potato or raw kela and heat the mixter. Ready tasty dabeli masala for dabeli. 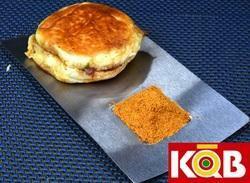 This Dabeli masala is made from the original spices, without using any kind of Essence, chemicals or colors. This is not the mixed masala but the Original spice. Therefore it is used only 25g in proportion of 1 Kg. So it is economical. Two packing sizes are available; 50g & 100g. We manufacture the dabeli masala the taste itself is born from the mandvi and the masala we manufacture is the one of most real and tasteful masala that we manufacture and can challenge onyone about taste. 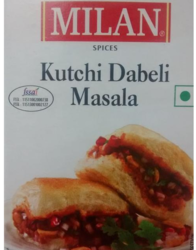 Our company holds vast experience in this domain and is involved in the offering Milan Kutchi Dabeli Masala.